Last week Los Angeles was blessed with the presence of the herbalist Matthew Wood. Surprisingly humble for someone who's spent longer than I've been alive dedicated to the study of herbal medicine, being around him is always fun. At one point, we were sitting in my mum's kitchen while he read my pulse and tongue. He wrote the names of a couple of herbs on pieces of paper, while explaining that what he was about to do was an ancient rabbinical technique, and then he put them in between my fingers while he listened to my pulse. I couldn't quite believe it, but my pulse changed. Quickly. And noticeably. I say this as an objective observer and pulse-owner who had no idea what was going to happen, but that where before my fingers and toes had very little circulation, they had circulation. Where before I had not been aware of certain areas, I was aware. Where before I felt cold, I felt warm. And my heart rate slowed down. From a couple of pieces of paper with plant names written on them. I thought a bit about this technique, and it made sense-- I mean, the word is at the very core of Jewish mysticism. And if I'm not mistaken, in Hindu cosmology the universe was created with the exhalation of one single word. Words, my friends, hold great power. Look to those water experiments that Matsuro Emoto did years ago, or even more personally, think of something that was said to you as a kid that you've never ever forgotten. And last week, written on a piece of paper and thrust haphazardly in between my fingers, these words got me thinking about intention. Because what is a word or an action if not an expression of intention. For us, as humans, to claim that we're separate from our words or our actions is (in my opinion) to stop taking responsibility for ourselves and our lives. It can be something as big as 'I do' or something as little as 'here, have a cup of tea', but the intention is expressed THROUGH the words. If I wanted to get a bit more woo-woo, I'd say that each of us is, in some way, an expression of an intention, of sorts. Just like each plant is, and each colour, and each number, and each music note. Our purpose in life, as these intentions, might be to exist and be the most pure expression of that 'us-ness' we can possibly be. And when I look at plants, with regards to making food or medicine, I think about the same thing- that is, how to draw out the very essence of that thing. I think most herbalists are hyper aware of how this works. We spend our days crafting creations for one purpose or another. Herbs have so many different properties, that we often coax out those properties that we want to use, whether it be through combining with other plants, the way we prepare them, or sometimes, simply, through asking. Intention, in herbalism, starts before you even touch a plant. It starts with the observation of how and where things grow, with the intention to create abundance in the plant world, not to destroy a population but to encourage it. It starts with observation of the planet and the cycles of weather and season. It starts with slight changes in soil. And it starts with relationship. You, the ground, the sky, and the plants you're working with. With that, you can start picking flowers, whispering intention with every movement of your fingers. Stroking, whispering, urging flowers to open, scent to release, roots to spread, vines to grow, and from there, harvest intact, they're brought inside, picked through, urged, nudged, gathered together into something cohesive. Then a medium is added, in this case hot syrup, to bring out the scent and flavour. And with that medium, you can coax out the 'it-ness' of whatever it is you're playing with. The name of a plant ties it to its very essence, and in using that name, combined with focus and magic, there's very little that you can't affect with a few simple leaves and plant bits. I don't think it matters what you're making either, be it a cup of tea or a syrup or a complex formula or a cake. It's what you put into it, and how you put it there. It's taking a moment to set the space beforehand, and having a singleminded focus while you're doing it. That's something you can do with a glass of water or a twenty five course meal. When I start to make something, things get really quiet. 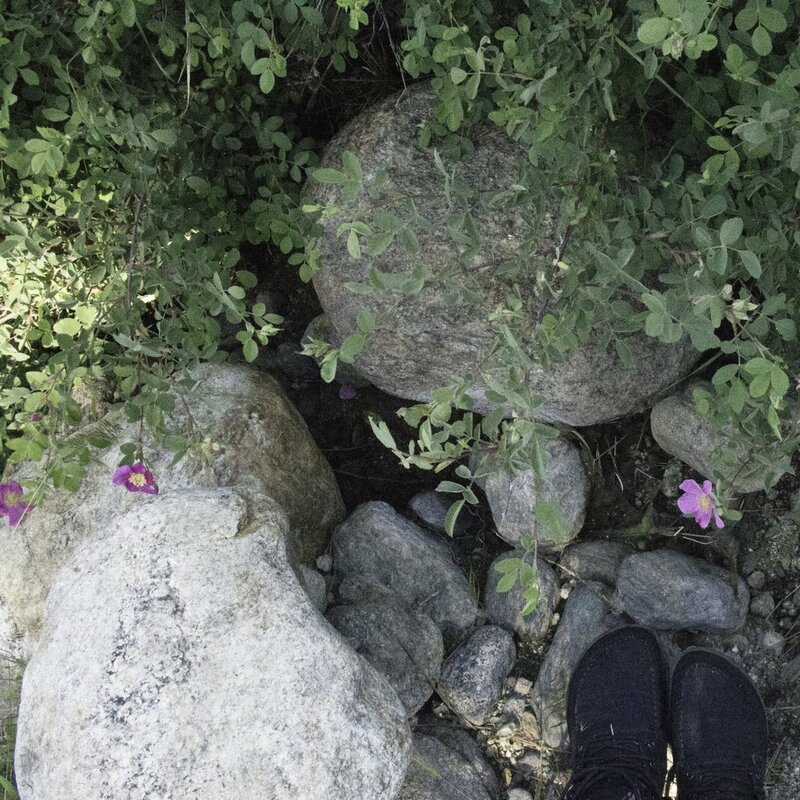 My feet sprout roots that sink into the earth, the top of my head gets a bit fluffy feeling and my body expands beyond its bounds and my mind stops spinning in the way it usually does. This afternoon, I lit some juniper white sage incense, allowing the smoke to fill my workspace. 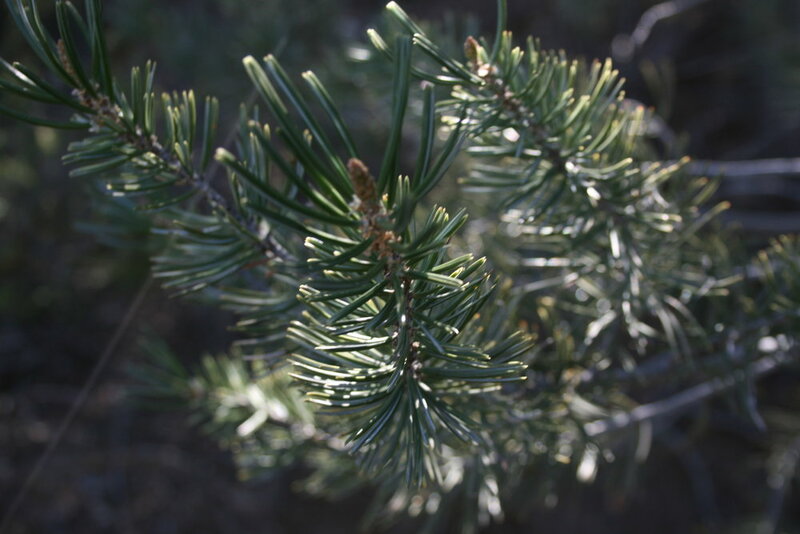 Then I gently broke up the branches of white fir, douglas fir, and pinyon pine, dropping the needles one by one into a saucepan. At this point, my mind was quiet; I became hyper aware of my actions and words; my fingers eking out the properties of the various trees to soothe, expectorate, heal, and open lungs, picturing these actions while I'm stirring. Some of the finished syrup (sirup!) went directly into a tea for a feverish, coughing Hedgehog sleeping upstairs, and the rest went into a bottle where it sits, practically aglow with magic. Conifer syrup is versatile. It's great as a cough syrup, promoting expectoration, opening the lungs up a bit, and helping to soothe irritated bronchial passages. But it's also delicious on pancakes, or in cocktails, adding flavour and sweetness to tea, over ice cream, or even [gluttonously] by the spoonful. It's green. Which makes it pretty, especially during these winter months when the majority of the country is still covered in white and brown. And it's interesting but tasty, which makes it really easy to give to those who are usually suspicious. Being able to administer cough syrup disguised as a cocktail is also really helpful when it comes to stubborn grown ups. If you have a blender, blend up the mixed conifer needles as much as you can. Bring the water and sugar to a boil, reduce to simmer, and sprinkle in the blended up needles. Steep for an hour, simmering REALLY gently (don't let it boil), then taste, strain, and bottle.